Happy March! Spring is in the air, can you feel it?! With the warmer weather making its way around, I'm looking forward to switching out my winter wardrobe for some flirty spring ensembles. 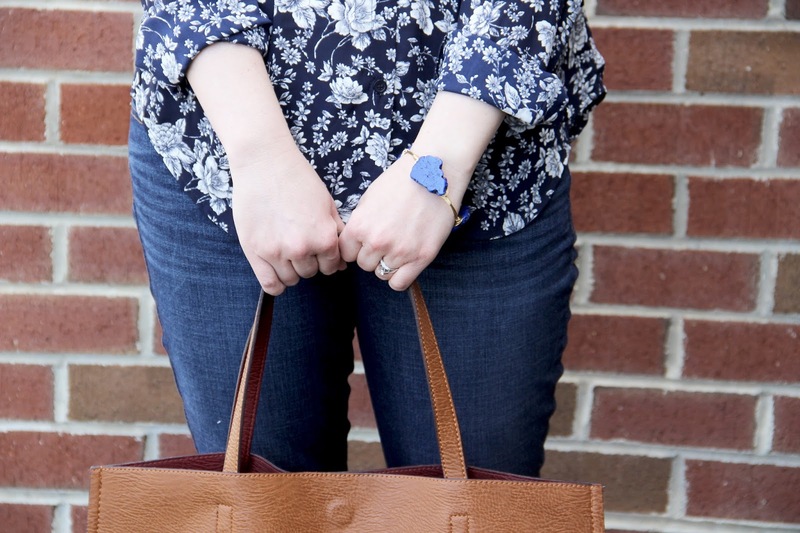 Because it's still technically winter, and sporting bright colors just yet isn't my thing quite yet, I love finding clothing that hints at the coming season and boasts a bit of spring flair in a subtle way. 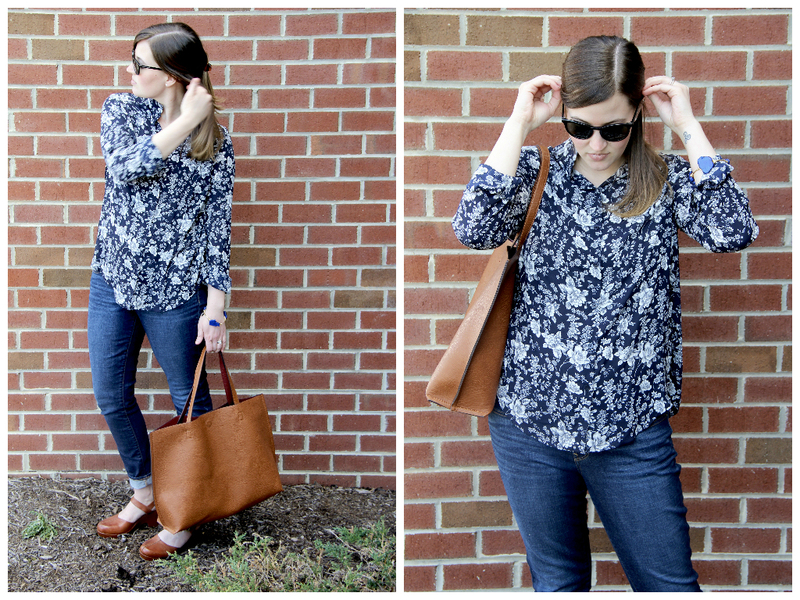 And that's why I love this navy blouse so much! As a new mama, finding clothes that not only fit right, but make you feel great is key to being comfortable and confident in your outfit. 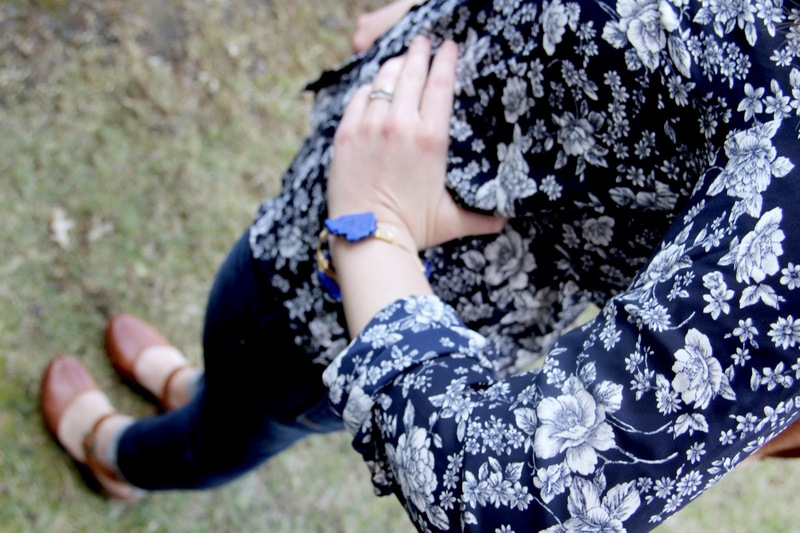 Exceptional wardrobe pieces are so important, especially as you transition out of pregnancy clothes and back to everyday wear. 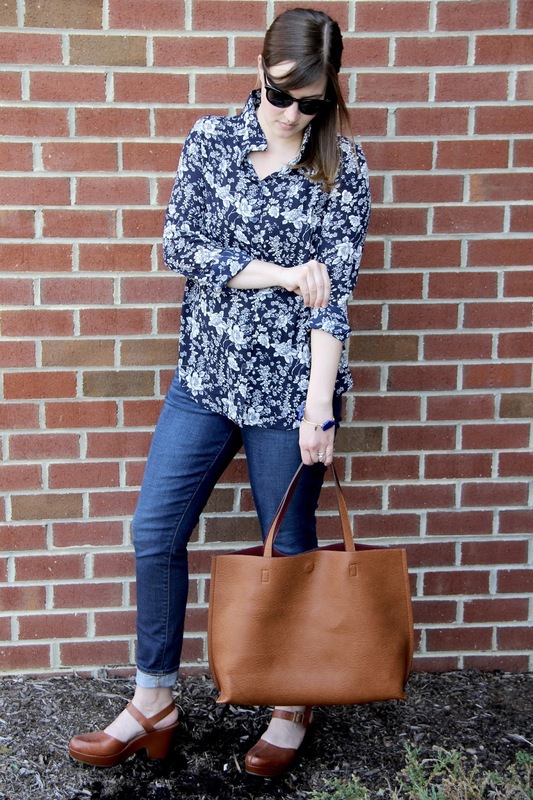 PinkBlush, an online women's boutique, offers some amazing clothing for women and really nailed it with this blouse, giving it extra flounce and a classic print. One thing I've found in the last 10 weeks is that I need clothing that works for me. Give me a blouse with extra wiggle room, long enough for great coverage, and offers ease for nursing, then I'm happy and comfy all day long! 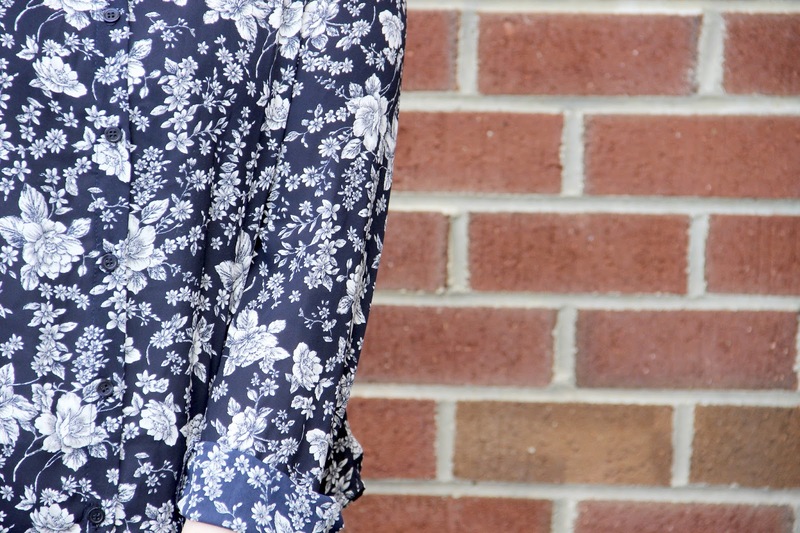 The blouse boasts a soft and smooth texture, allows me to move about with ease, and is easy to dress up or down depending on the occasion. I can't get enough! 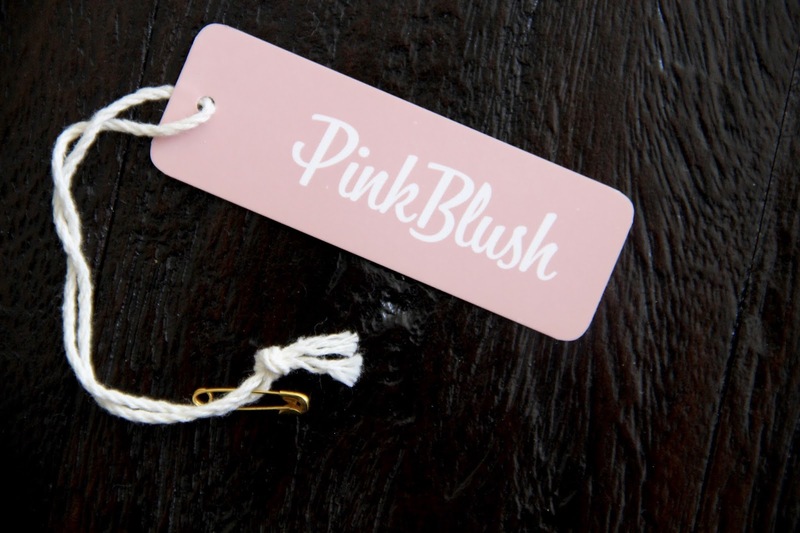 And because you should have one too, PinkBlush Boutique is giving away a $50 gift card to one lucky gal! You can pick from their cute dresses and tops! 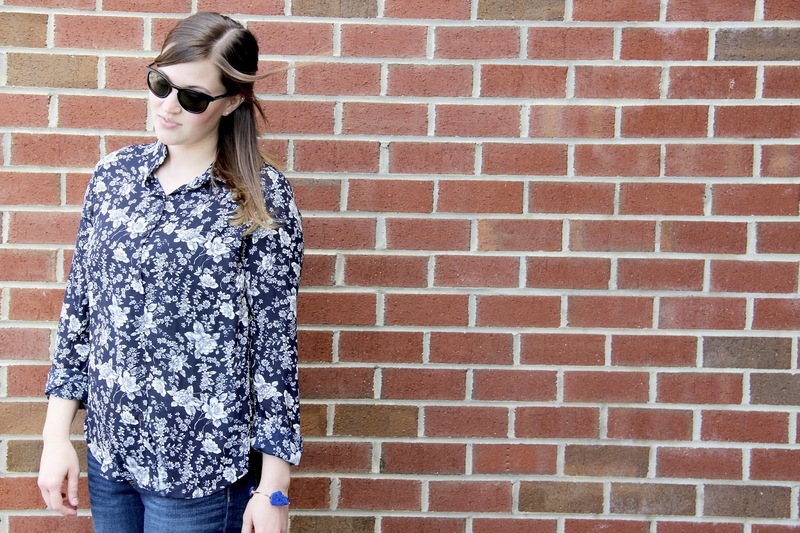 Be sure to browse this trendy online boutique for some wonderful spring options! And of course, don't forget to enter the rafflecopter below! The giveaway closes next Monday, and the winner will be randomly selected and announced next Tuesday! Disclosure: I have received this blouse from PinkBlush as a gift; however, all opinions remain my own.